Original formula absorbs fast to quickly relieve itching, burning and stinging without the use of steroids. 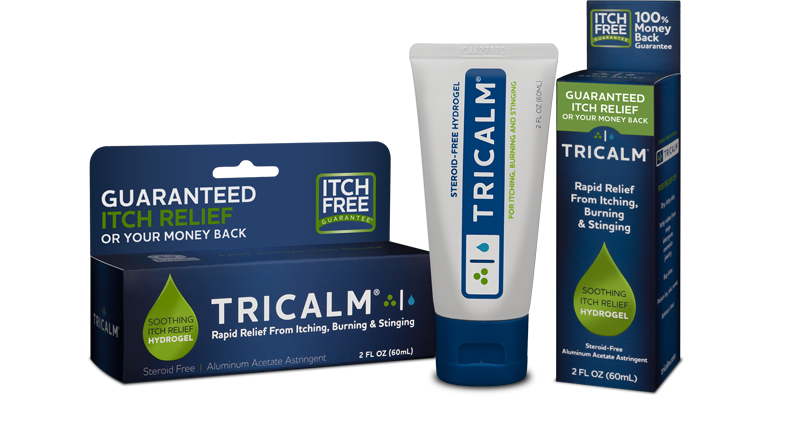 TriCalm Soothing Itch Relief Hydrogel is the steroid-free choice for itch relief, clinically shown to significantly reduce itch intensity and duration. The fast-absorbing, steroid-free hydrogel is safe and effective to use as often as needed to ease your family’s common skin irritations, including bug bites, rashes, poison oak/ivy, and dry, itchy skin. How often can I reapply TriCalm hydrogel? TriCalm is safe to be reapplied as needed throughout the day. Most people experience relief lasting from four to 12 hours for a single application. What is the consistency of the gel like? TriCalm’s hydrogel formulation is thin and slightly watery in consistency. Our water-based formula can easily penetrate through the skin’s surface and is designed to effortlessly spread on skin. If you prefer a thicker gel, TriCalm can be stored in the refrigerator. 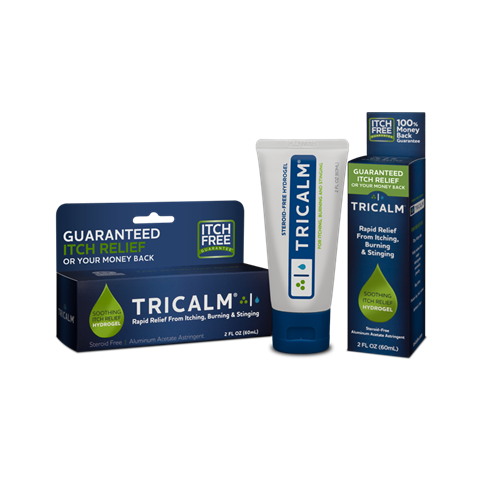 We’re so confident that TriCalm will relieve your itch, we’re backing your purchase with our 100% money back guarantee. If TriCalm doesn’t relieve your itch, send us your unused TriCalm portion, sales receipt, name and return mailing address within 90 days and we’ll give you a full refund. See details about our itch-free-guarantee.